When I scheduled my return from Theni, via Madurai I made sure that I’ve time for a relaxed lunch at Madurai before the flight. I wanted to try Amma Mess this time and while talking to my brother about the same, he casually said “Avlo scene ellam illa”. Sometime it’s okay to listen to the younger ones advice. Doing so would’ve saved you from the utmost disappointment. But adhellam kettuta namakku Enna mariyadhai. 4 of us checked in Amma Mess at Alagar Kovil Main Road, Thallakulam. It was 12.45 and we were the second set of customers. One among us was pure vegetarian. Ordered 4 meals along with crab omelette, ayira meen kuzhambu, few Kola and a mutton liver fry. 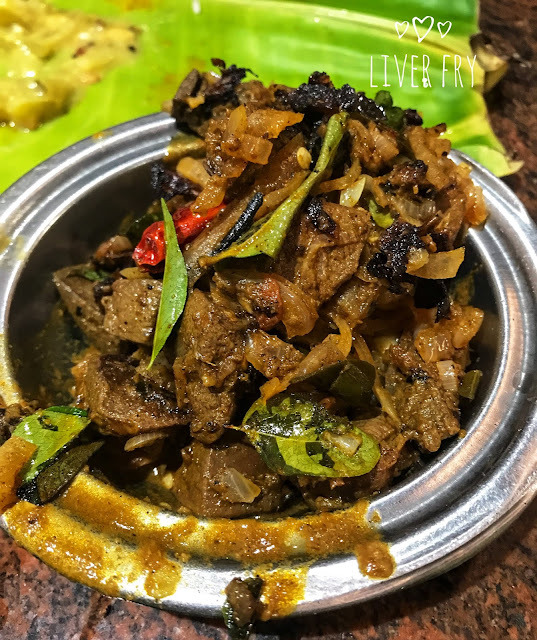 Two veggies (ladies finger & snake gourd kootu), mutton kuzhambu, meen kuzhambu, rasam, buttermilk and pickle are part of the meals (Rs.100) Upon requesting not to serve any non veg to one of us, we were told that there’s an exclusive meal for vegetarians that comes with extra veggie, payasam, sambhar and pappad. Very considerate eh!! First came the kola urundai. Was good. But nothing to rave about. Couldn’t help comparing it with the ones I had in Venu biriyani in Dindugul. Next came the biggest disappointment in a small bowl. Ayira Meen Kuzhambu (Rs.225) was served in a small bowl. You can imagine the size of the bowl which can hold about 7-8 spoonful of the kuzhambu. Portion size oru pakkam, tasteaavadhu nallairundha parava illa. I’ve not tasted such a tasteless gravy in recent times. 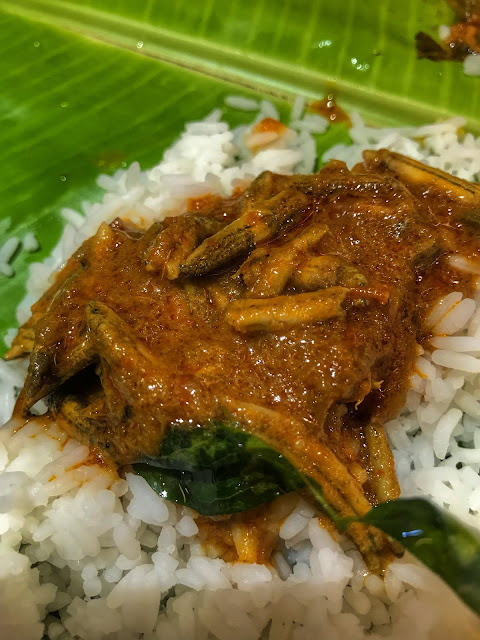 It was neither spicy nor tangy or nothing to relate with a meen kuzhambu. Disappointed to the core I moved on to the mutton gravy that comes with the meals. Coconut based gravy was damn watery and again didn’t even cross the average mark in taste. 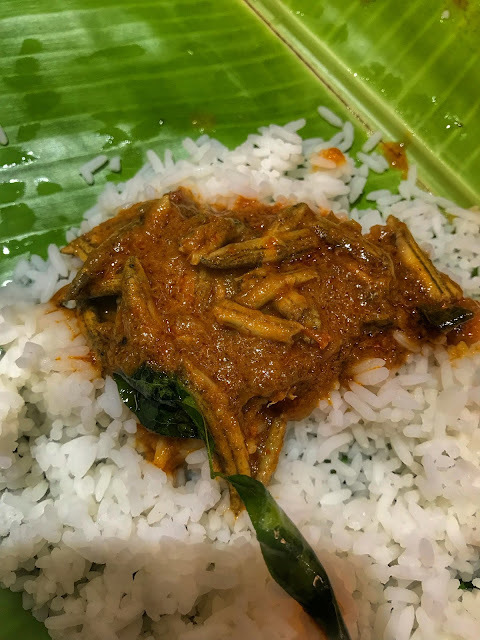 I felt the regular meen kuzhambu that was served with the meals was better beyond comparison than the ayira meen kuzhambu that we bought separately. Mutton liver fry and crab omelette were served much later after multiple reminders. At a stage I even asked to cancel those two as we were almost done with the meals. 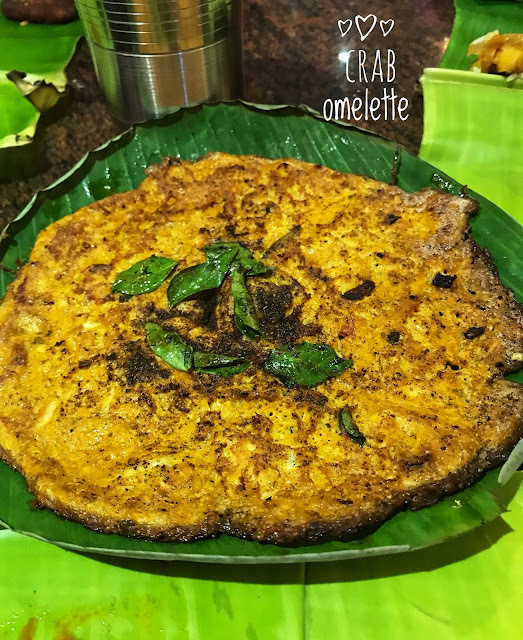 Crab omelette was okayish.